The marketing research proposal is the document that acts as the rationale for undertaking a marketing research project. Thus, the proposal has to be persuasive, thorough in its analysis and should be written in a non-technical language as much as possible. Marketing research proposal precedes the marketing research meant to determine the four P's of marketing: product, price, place, and promotion. 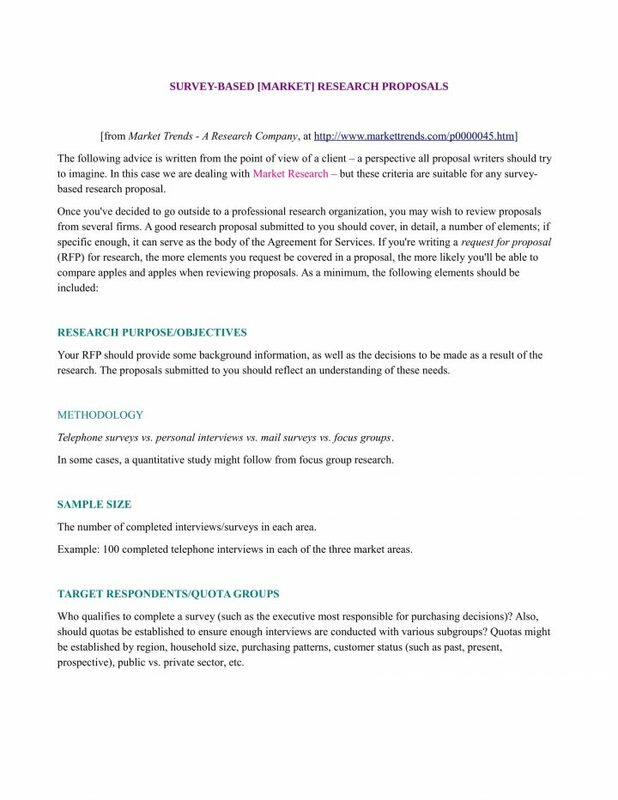 The first step in drafting a marketing research proposal is to ensure that the document states the question the study will attempt to answer. This question forms the basis of the objective. Besides reporting the problem, the proposal also includes a detailed background which provides the context as to why the ultimate goal is essential. The proposal should consist of estimated details of the solutions (for example, if cost is a factor of success or failure, you can include an estimated amount.) A reasonable timeline with significant milestones outlined (or even a Gantt chart) may be necessary if the research is of a considerable scope). Cultural issues: attitudes and demographic trends. Technology: the internet trends, data, competitive infrastructure factors: pricing, service and speed. Economic concerns: unemployment and the competition. You can also evaluate the global marketing environment if the products are sold to different countries, bearing in mind different cultures, currencies and other factors play a huge role. There are two sources of gathering data, namely primary and secondary sources. Primary data sources include interviews, online or face-to-face surveys, focus groups, and customer feedback. Customers usually give the best opinions about products, and these opinions give insight as to the previous market performance of those products. Secondary sources include government publications, online searches, trade organizations, magazines and clipping services. Secondary sources act as an alternative when the primary sources are not available. You can choose to use either descriptive or statistical data analysis techniques. Whichever measurement techniques you settle on, the marketing research proposal needs to maintain objectivity. This section of the proposal lays out the methods used to interpret the data. Qualitative parameters include anecdotal evidence, a compilation of consensus opinions or even measuring the emotional intensity of respondents. A qualitative analysis uses figures to measure the data correctly, offering specific outcomes for the hypotheses being tested. 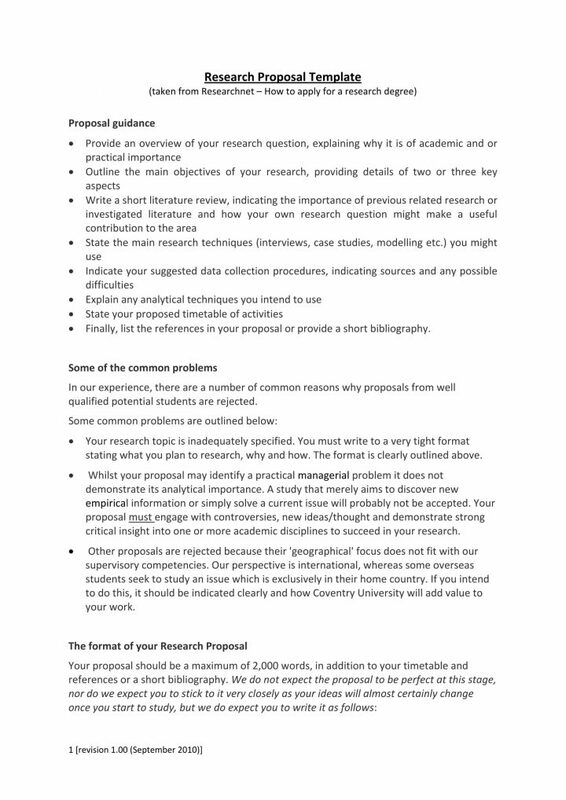 If an alternative research option is available, it should be explained and justified in the marketing research proposal. A big problem of market research is that conventional tools are unable to assess the impact of the marketing investments on the target audience's behavior. This problem is because it's unable to track the steps from when the customer sees the product to when they decide to purchase it. Metrics like awareness and attitudes from existing customers. Many people think a particular sports car is one of the best, but they won't buy it even if they can afford it. The flip side may also apply; they may not think much about a product or advert but still go ahead to make the purchase. These differences make market research somewhat unpredictable to the ultimate customer experience.